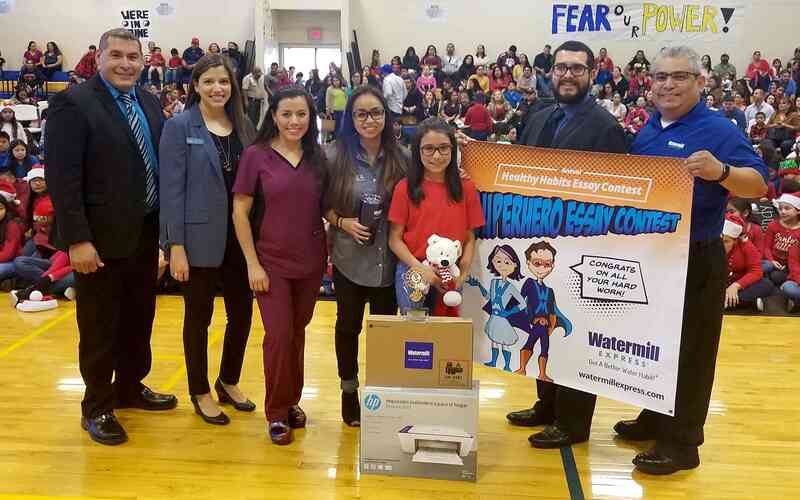 Dec 21, 2018 – McAllen, TX – Watermill Express announced the winners of its annual writing contest during ceremonies held at select IDEA Public Schools throughout the Rio Grande Valley. 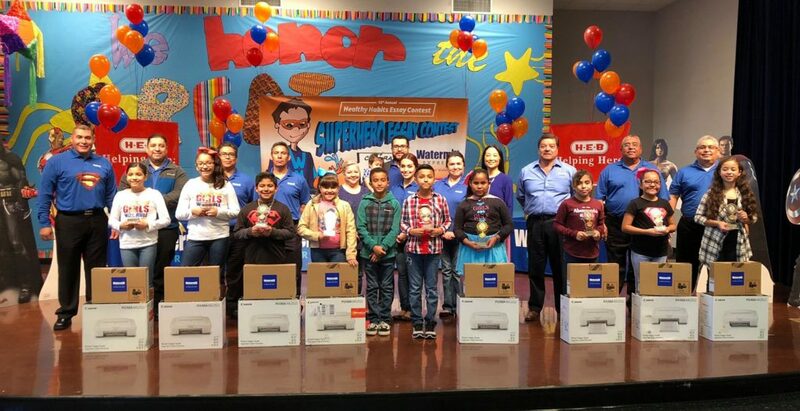 Twenty fourth grade winners each received a laptop and printer as prizes for their essay submissions. 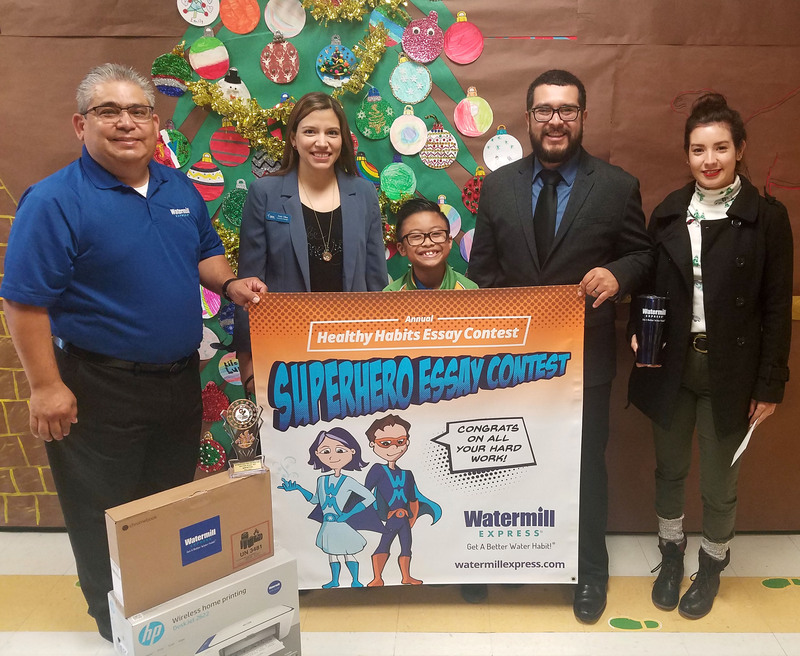 This year’s “Superhero” theme challenged children to create a superhero to protect their minds, bodies, and the environment from unhealthy activity by encouraging education, exercising, eating a healthy diet, and protecting the environment. 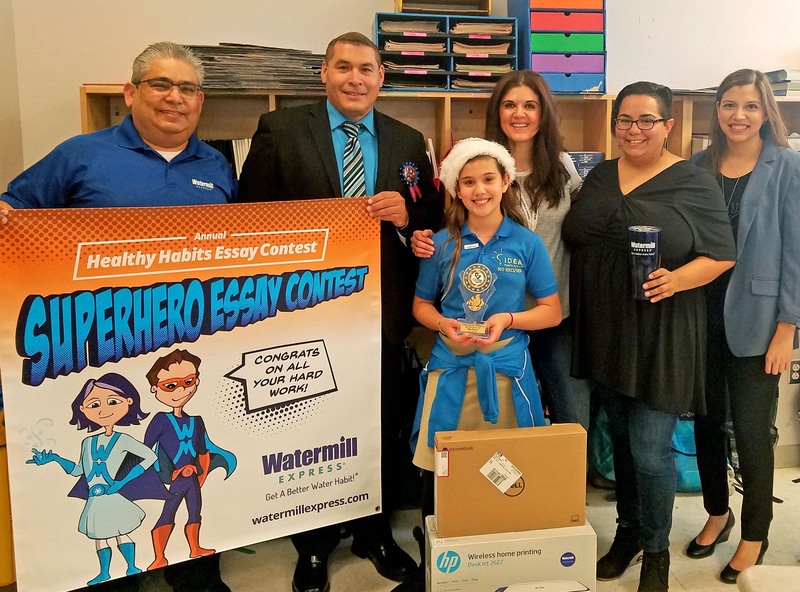 Hundreds of essays were submitted and read by a panel of judges, including Lani Dolifka, Co-Founder, President, and CEO of Watermill Express. 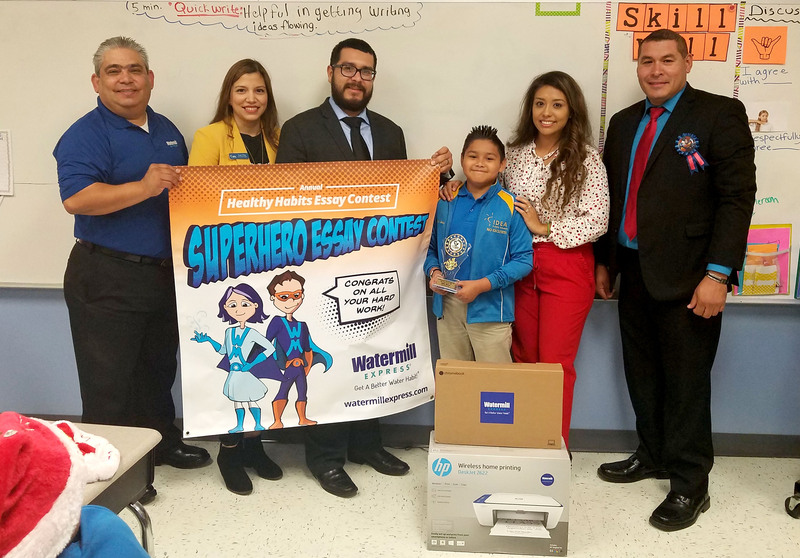 Winners were selected through a writing initiative sponsored by Watermill Express for all participating IDEA Public Schools in the Rio Grande Valley. 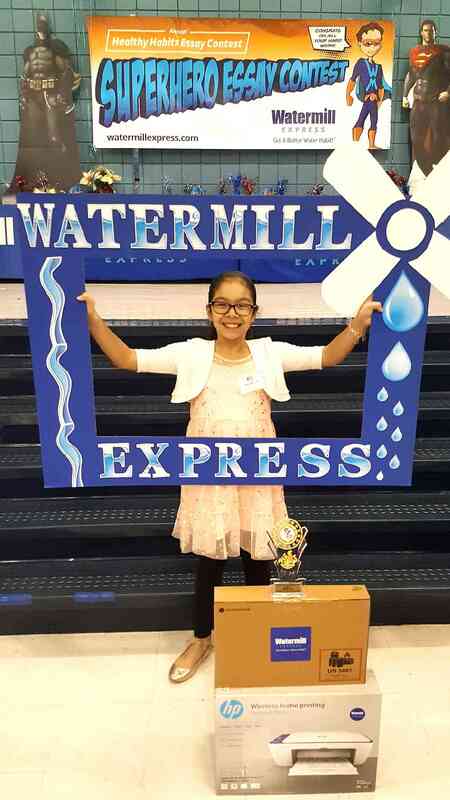 The first Watermill Express writing contest was held in 2005 in the Rio Grande Valley and has since awarded more than $90,000 in prizes and has logged more than 18,000 participating students. 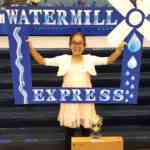 This entry was posted in Events, Healthy Habits Contest, Watermill Express. 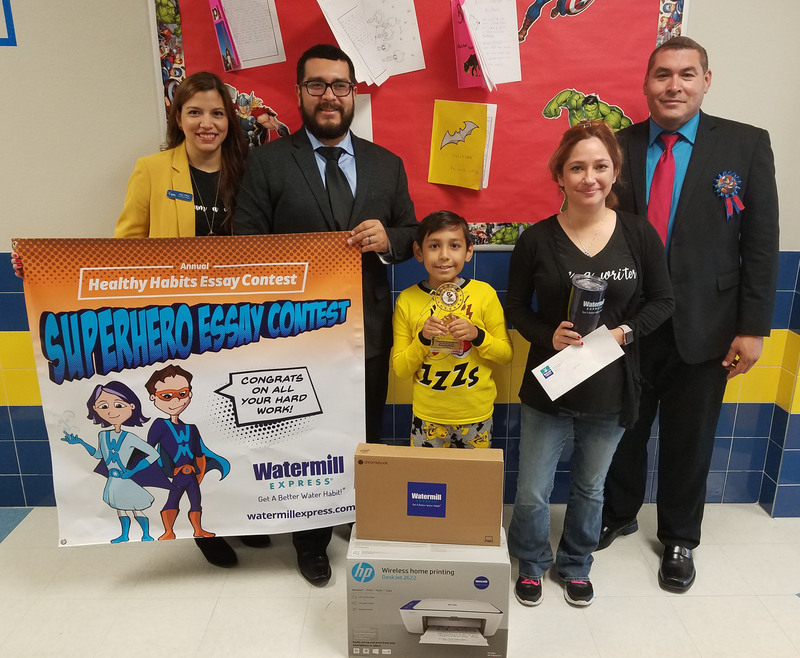 Fourth Grade Contest Winners from Laredo Independent School District Awarded Computers for Essays Focused on Health and Wellness. 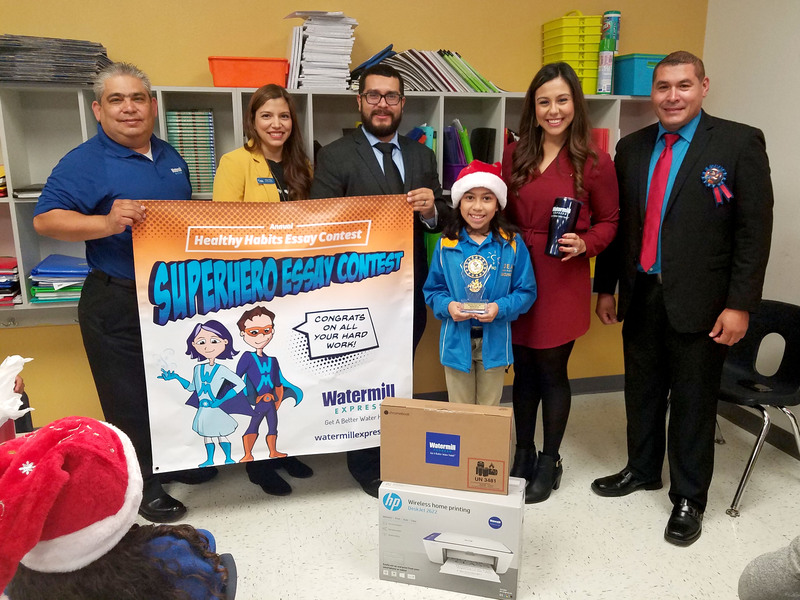 Dec 13, 2018 – Laredo, TX – Watermill Express announced the winners of its annual writing contest during ceremonies held at D.D. 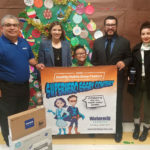 Hachar Elementary School in Laredo, TX. 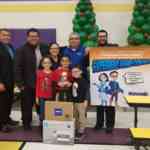 Ten fourth grade winners each received a laptop and printer as prizes for their essay submissions. 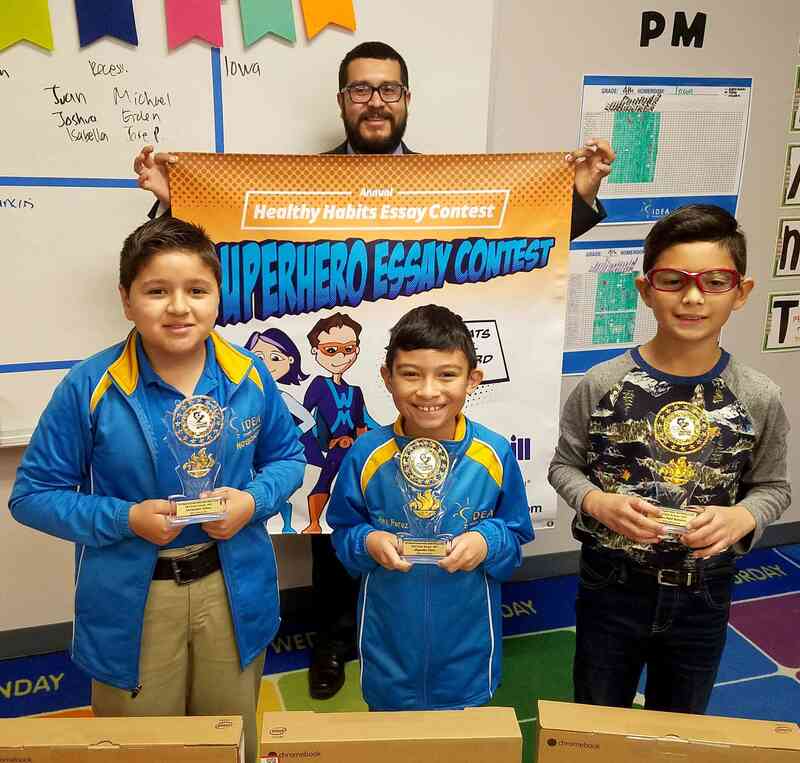 This year’s ‘Superhero’ theme challenged children to create a superhero to protect their minds, bodies, and the environment from unhealthy activity by encouraging education, exercising, eating a healthy diet, and protecting the environment. 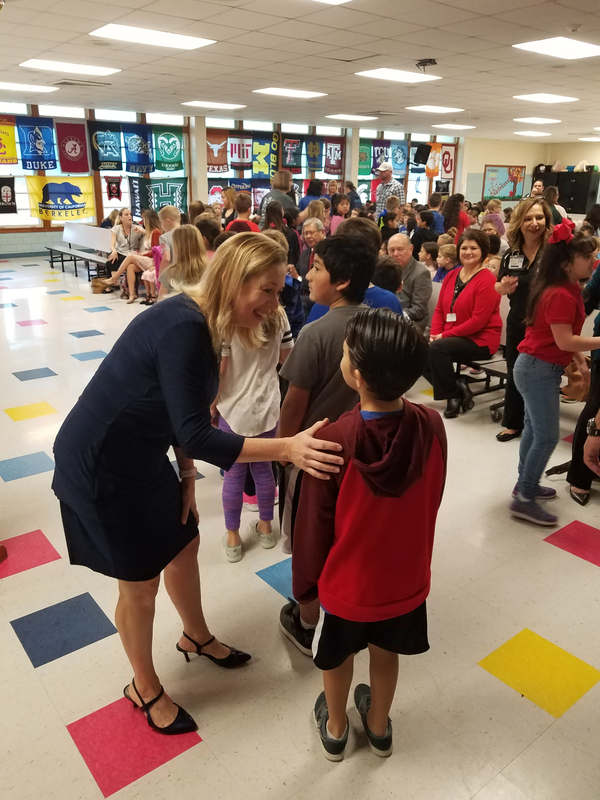 Hundreds of essays were submitted and read by a panel of judges, including Lani Dolifka, Co-Founder, President, and CEO of Watermill Express. 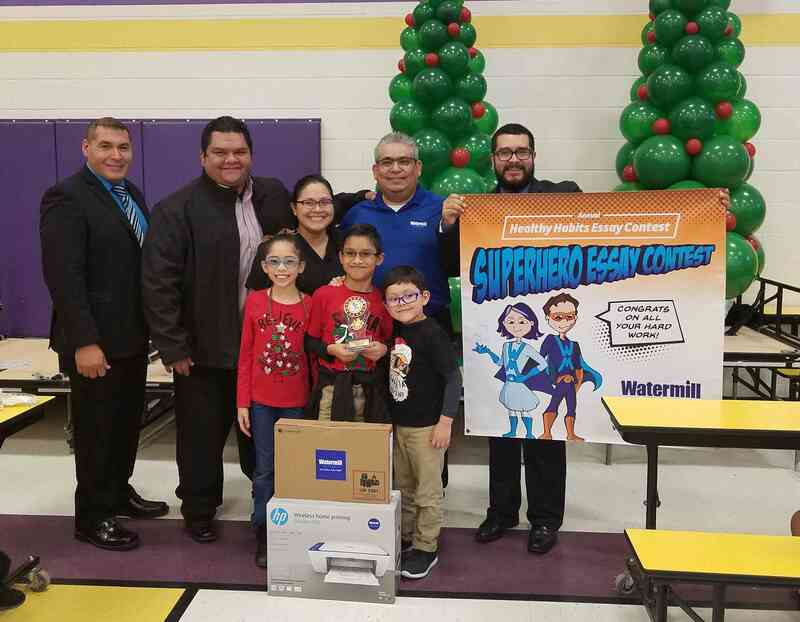 Winners were selected from a district wide writing initiative sponsored by Watermill Express for all participating elementary schools from Laredo Independent School District. 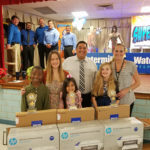 Fourth Grade Contest Winners from Corpus Christi Independent School District Awarded Computers for Essays Focused on Health and Wellness. 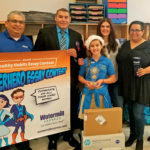 Nov 30, 2018 – Corpus Christi, TX – Watermill Express announced the winners of its annual writing contest during ceremonies held at Windsor Park Athena Elementary in Corpus Christi, TX. 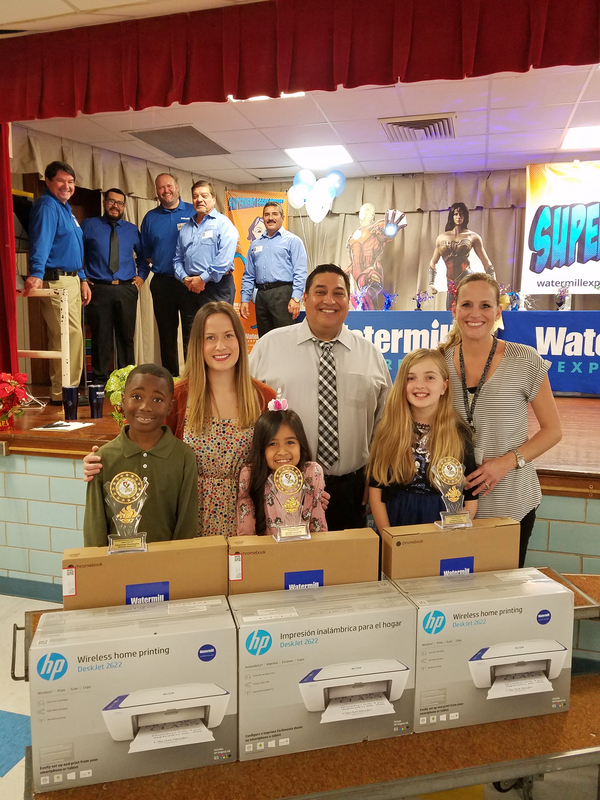 Ten fourth grade winners each received a laptop and printer as prizes for their essay submissions. 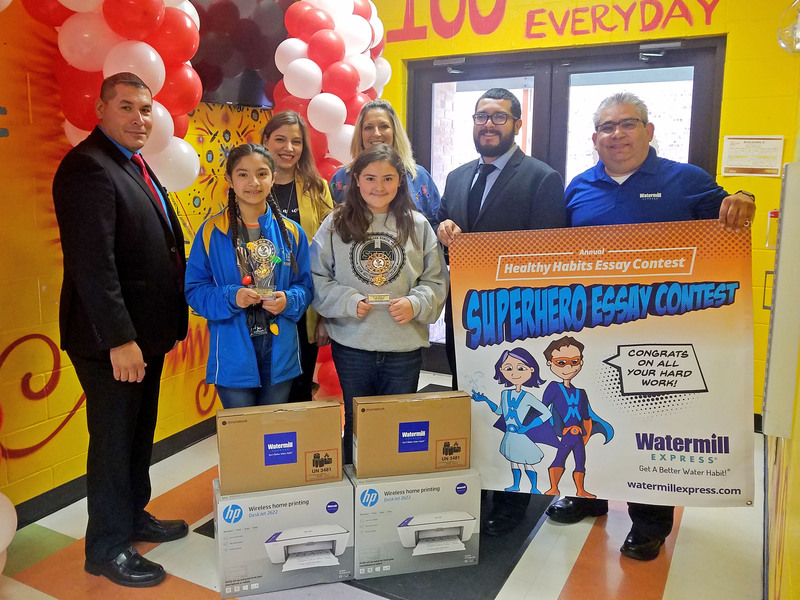 Winners were selected from a district wide writing initiative sponsored by Watermill Express for all participating elementary schools from Corpus Christi Independent School District. 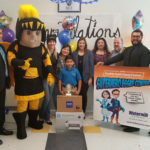 Calling all 4th grade IDEA public school students, Corpus Christi I.S.D students, Laredo I.S.D students! 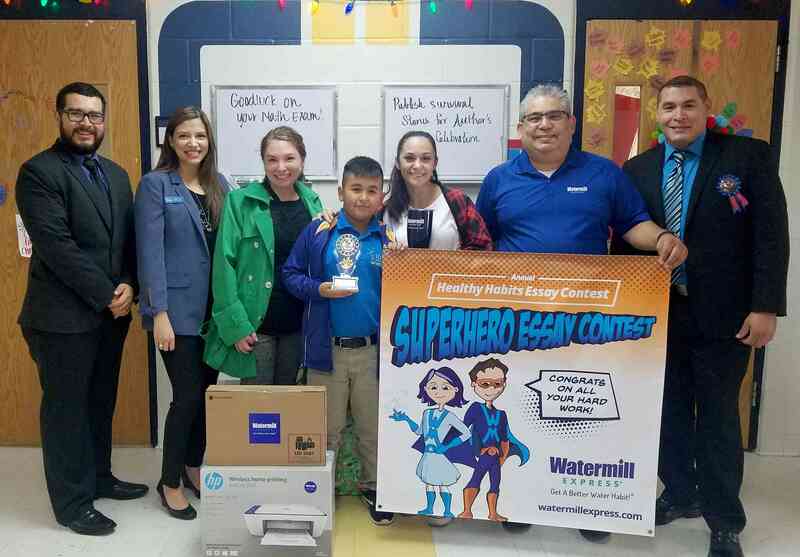 Texas – Put your writing skills to the test in the Watermill Express 2018 Superhero Essay Contest! 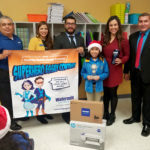 Enter to win a brand-new Chrome laptop computer with printer. 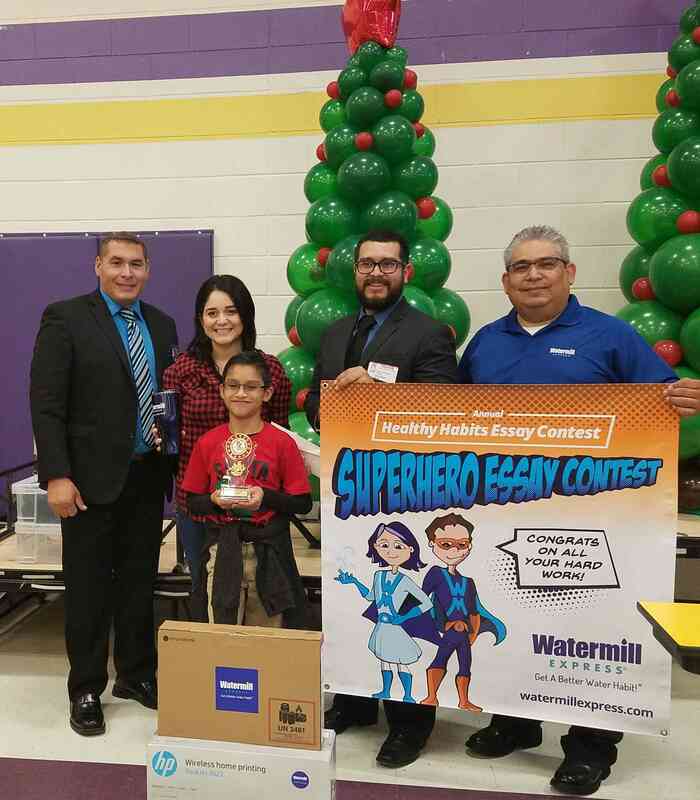 Your essay could also win your classroom a pizza party! 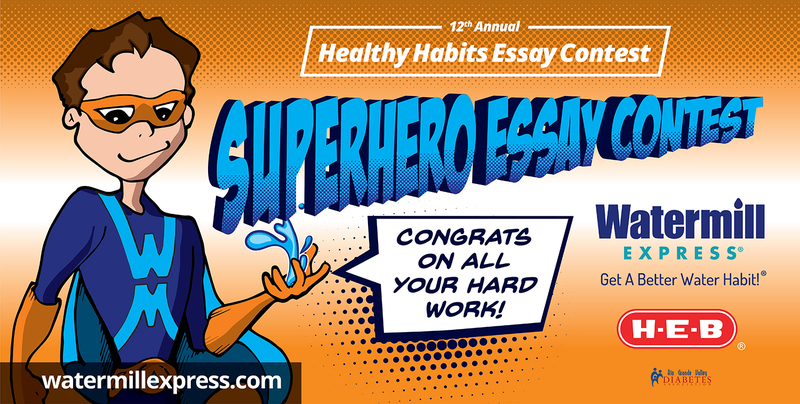 To enter, submit an original essay in which you create a superhero to protect our minds, bodies and the environment from unhealthy activities. 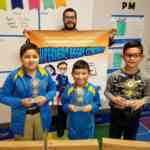 This is your superhero – you create his or her powers! 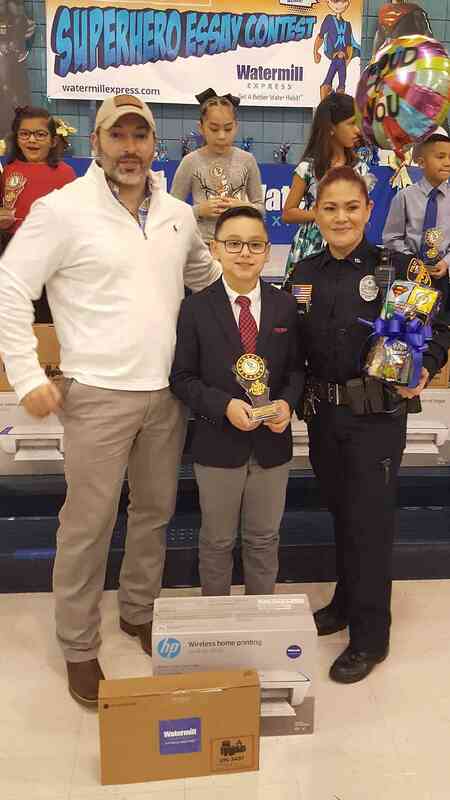 Your superhero can even be you, your mom/dad, a teacher, or anyone important in your life who can help bring about positive change. Don’t forget to name your superhero and be creative! Let’s get those pencils on paper and put your thinking caps on! 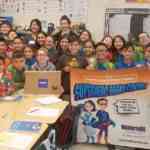 How will your superhero protect our minds, bodies, and the environment from unhealthy activity? 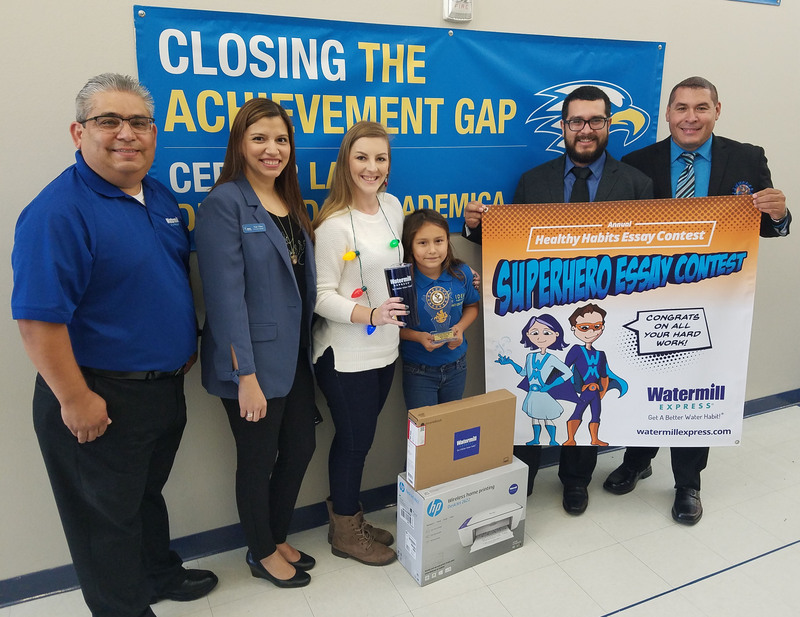 How will your superhero encourage education, exercising, eating a healthy diet, drinking plenty of water, and taking care of the environment? 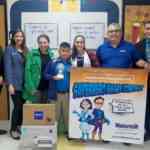 How will your superhero reduce the world’s plastic water bottle waste? Do some research and give some facts. 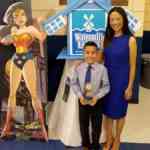 What superpower will you give your superhero to make the world a better place to live? Today we’d like to introduce you to Lani Dolifka. I used to live near a designated Superfund site which is land that has been contaminated by hazardous waste and qualifies for EPA cleanup. 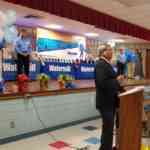 The community’s groundwater contained 600 documented chemicals and we were told not to drink our tap water, leaving us to rely on alternative sources for our water like expensive plastic water bottles. 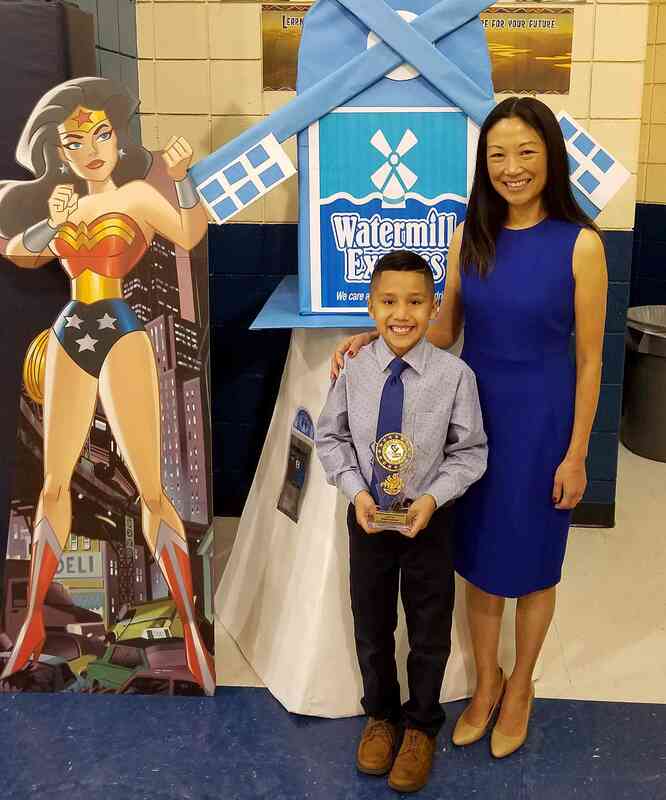 Because of these issues, my husband and I, with the help of our family and friends, developed a miniature water purification kiosk that took municipal water and produced high quality drinking water. 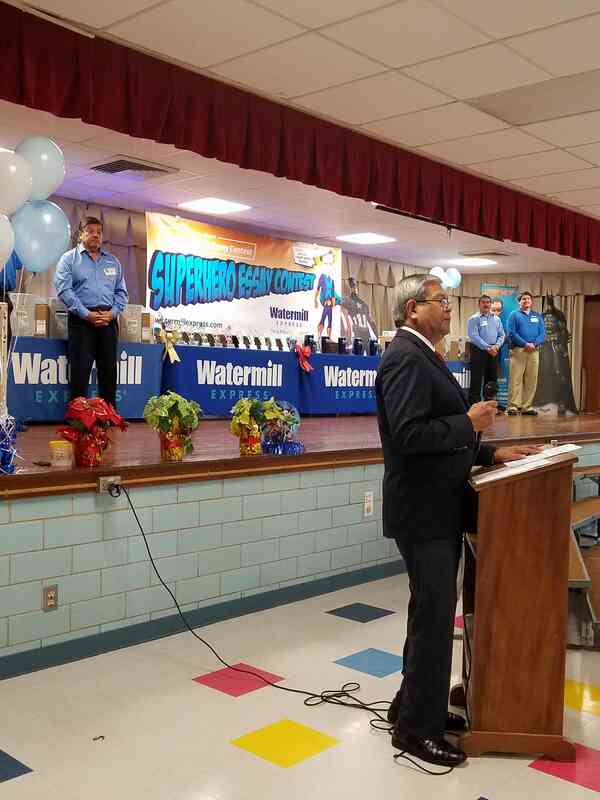 The result was our first Watermill Express station that produced pure drinking water at an affordable price. That was a little over 30 years ago. Now, we’ve grown to have more than 1,300 locations across the country. Read the full Q&A article here. There’s no escaping the fact that there is a certain underlying degree of elitism in entrepreneurship. We tend to think globally and then try to apply our ideas locally. While this makes for a catchy slogan, it’s often easier said than done. In fact, I’ve found that the opposite is often true. Organic ideas that solve a local problem often are the most impactful when applied at scale. By thinking locally and then scaling globally, entrepreneurs can create a thriving business and still make a splash on the global stage. No one I’ve met embodies this more than a Colorado-based entrepreneur Lani Dolifka. You might not have heard of her, but chances are you’ve come across her business. Click here to read the full article on the Forbes website. 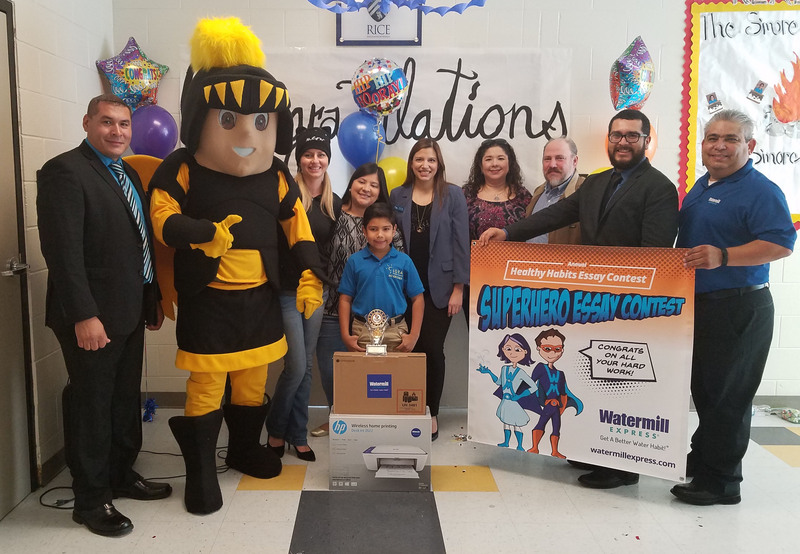 MCALLEN, Texas – May 22, 2017 – Watermill Express, the nation’s largest drive-up pure drinking water and ice company, announced today the selection of five finalists for its second annual Guppy Tank Contest, which challenges Rio Grande Valley students to channel their inner entrepreneur. 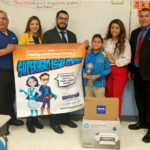 The five finalists will present their business ideas to a set of judges at McAllen’s Inter National Bank board room on Wednesday, May 31, where the winners will also be recognized and celebrated. 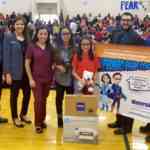 The Guppy Tank Contest is a fun take on the popular TV show Shark Tank and is meant to inspire area students 8 to 13 years old to think critically and creatively about business ownership. 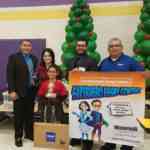 The panel of judges includes David Aguirre Jr., supervisor and partner at Stars Drive-in Restaurant Corporation; Eloy Cuevas, RGV marketing manager at Watermill Express; Lani Dolifka, president and CEO of Watermill Express; Linda Guerrero Deicla, general manager at KGBT-TV; and Ava Sandlin, ‎executive director of Make-A-Wish Foundation Rio Grande Valley. Though entries will be evaluated on several criteria including originality, quality of content, creativity, presentation and grammar, no finalist will leave empty-handed. 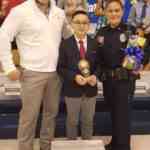 The first-place winner will receive a cash prize of $750 to help launch his or her original business idea. 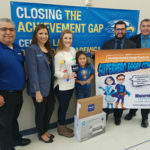 The runner-up will get $350 to use toward his or her business plan, with third-, fourth- and fifth-place finalists receiving $100 toward starting their business ideas. 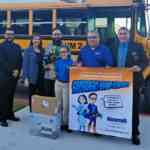 All five students will also receive ten reusable Watermill Express water bottles to share with family and friends. 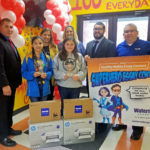 In addition to helping finalists fund their business ideas with cash prizes, Watermill Express donated $5 for each contest entry submitted to the Make-A-Wish Foundation, resulting in a total donation of $2,500. 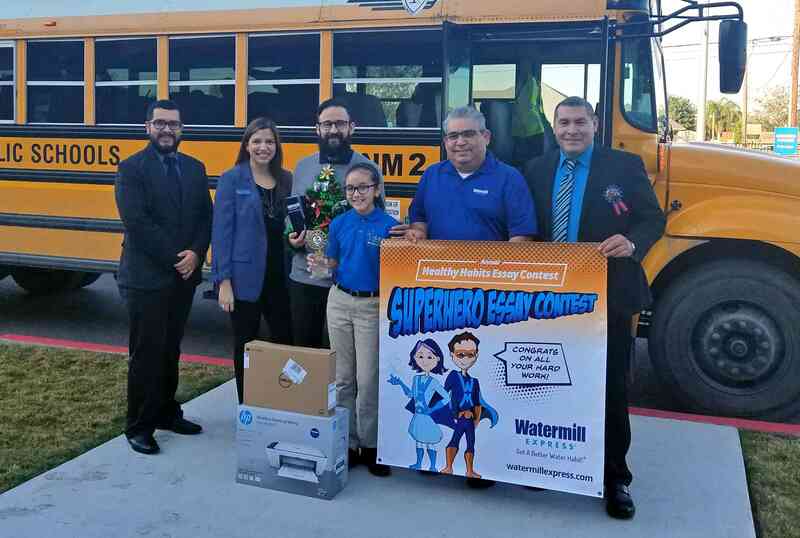 This donation will go toward granting a wish for a child in the Rio Grande Valley. 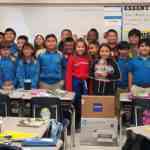 Watermill Express is also committed to giving back internationally. 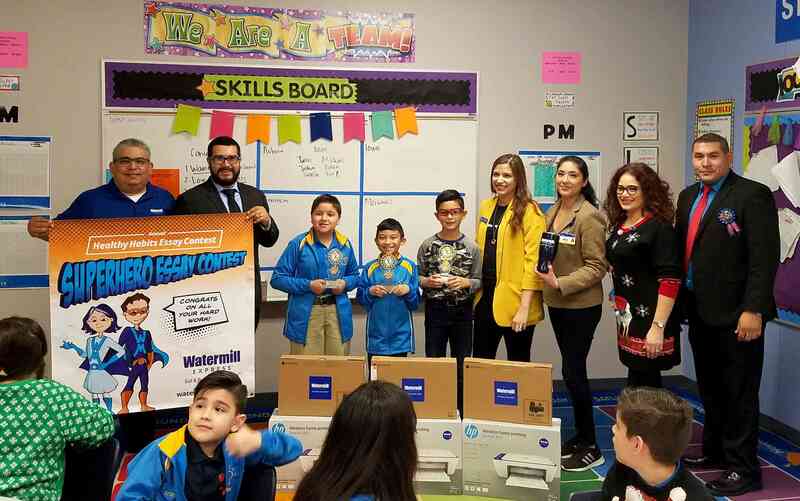 As part of the brand’s partnership with World Vision, the two organizations were able to provide more than 100 million gallons of clean drinking water to the developing world in 2016 and plan to do the same this year.